I am ecstatic to report that this morning I FINALLY pulled the trigger and purchased LO's new bedding from Pottery Barn Kids. 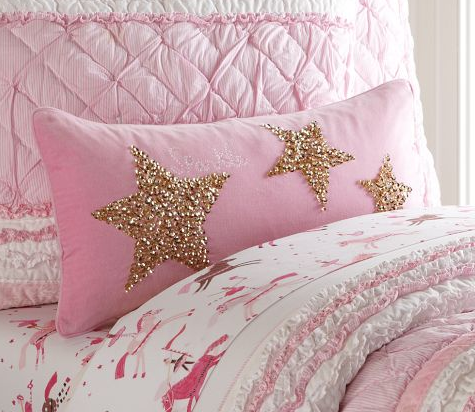 It begins with this adorable Brigette Ruffle Quilt. Oh, the girly-ness of it all! 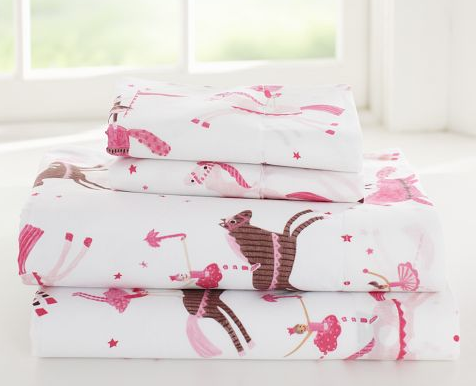 And the perfectly themed and adorably cute horse and princess Lucy Ringmaster Sheeting. These items are on their way! While I love the North Star Decorative Sham as an accent to this collection, I'm not a fan of the price tag and I'm pretty sure I can make something similar to this myself for much less (and much more value since it'd be made with love by mommy!). I've been searching for a white furniture set for LO, and have been sadly underwhelmed by the lack of selection out there. From Rooms to Go to Ashley Furniture Homestore to baby furniture stores, I just haven't found exactly what I want. 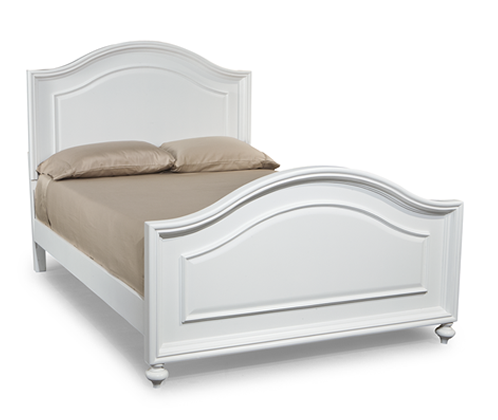 The closes thing I've found so far, that I like "enough" (though I'm not in love with the price tag), is the Madison Full Panel Bed from Legacy Classic Kids Furniture. I love the simple, clean lines, and I think it'll really look amazing with her new PBK bedding (versus the lame khaki bedding in the pic below). I want her to have a double dresser instead of the tall chest of drawers she's had so the room will be much more "girly" than it is now. Again, with the simple lines... 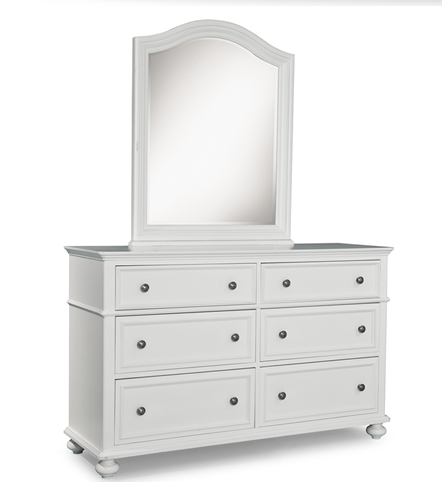 I really love the double dresser with arched mirror! 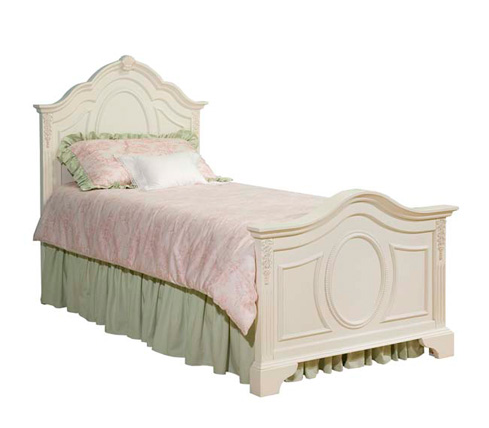 Plus I was concerned the antique off-white finish for the Enchantment collection just wouldn't look right with the PBK bedding I'm so totally head over heels in love with. Would you agree? A majority of the wall will actually be covered by her full size bed, but I don't think I care. 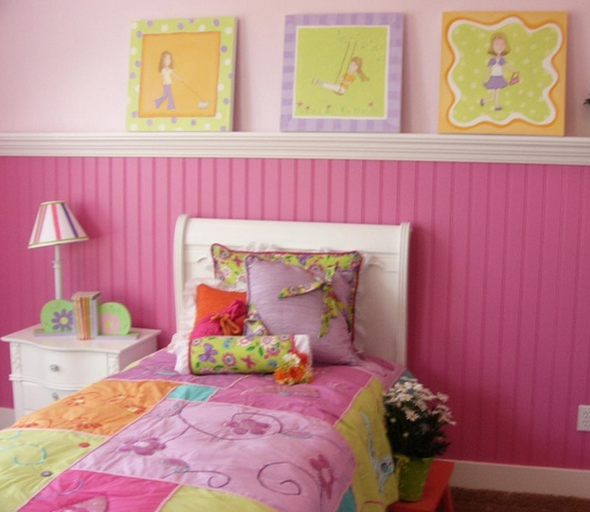 I really love the look of this accent, and as of right now, I'm thinking her room will be a VERY pale pink with the wainscoting in a slightly darker shade of pink (but not quite as fuchsia as the pic above). There's so much more planning to do but now just isn't the time to focus on all of the details for her room with the holidays so quickly approaching. I know I'll want to do a good bit of homemade wonderfulness, whether it's sewing accent pillows, making framed artwork similar to Chase's, or maybe having her name in letters on the wall (also similar to Chase's). I plan to incorporate some level of horses/unicorns and just a little sprinkle of princess-y stuff. I want it to be girly for sure, but if you know LO, you'll know she's also into dinosaurs and trucks and cars and swords, so I don't want to take it over the top. Ya know?